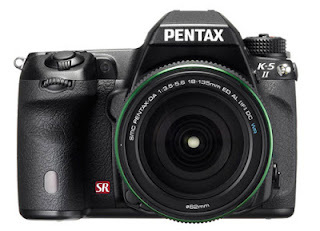 Pentaxians Rejoice: Announcing the K5 II and K5 IIs! The Pentax K5 II and K5 IIs have arrived, and they're shaping up to be the surprise hit DSLR in the lead-up to Christmas 2012. Of course, Pentax make a good, solid product and have many decades of photographic engineering prowess behind them, but the addition of the K5II and K5IIs has sent Pentax-loving photographers wild, and reports from our initial buyers indicate it is their best effort yet. The K5 II updates the K5, and includes improvements over the sensor especially in terms of low-light sensitivity, as well as a significant upgrade to the Full HD video and LCD screen. The K5 IIs is essentially the same camera, but following in Nikon's D800/D800E footsteps, the K5 IIs removes the anti-aliasing filter on the sensor for highly detailed, rich image results at high resolution levels. The Pentax K-series holds a dear place in many a heart, so perhaps you should check them out for yourself.